The right people. The right process. Success in an aircraft transaction is defined as a completed transaction with the sale price maximized, costs minimized, expectations met and a low stress level throughout the process. We leverage our extensive knowledge and global relationships to empower our clients to establish accurate expectations and make knowledgeable decisions as we facilitate the sale of their aircraft. AT MESINGER JET SALES, WE MAKE THE TRANSACTION A SUCCESS. We combine our expertise with global market intelligence to recognize where your aircraft fits into this competitive market and build a strategy that maximizes your sale price and draws attention to your aircraft. Understanding the unique details of your aircraft is paramount to a successful and timely sale. When we list your aircraft, we do our due diligence: we travel to your hangar to read the logs and records and see your aircraft in person. We assist your flight department in building specifications to help buyers quickly understand the details about your aircraft, resulting in an easier and more successful transaction. Our high level of attention to your sale sets our presentation apart from our competition. We have a legacy of innovative aircraft marketing to best tell the positive story about your aircraft. We employ a unique set of comprehensive tools including detailed specifications, professional photography and video, blogs and proactive communication with global reach. 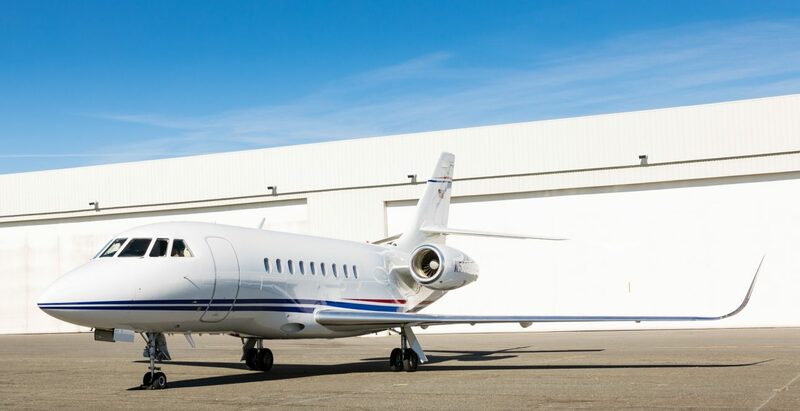 We are proactive in our sales efforts—continually calling other brokers, dealers, aviation attorneys, lenders and management companies to promote your aircraft’s value proposition. We regularly update you on our marketing, prospective buyers and the competitive market. And, we help you prepare for the closing of the transaction and continue to follow up long after the sale is complete to ensure that post-closing details were accomplished. Because we work as a group, we are available and we will respond quickly when you or prospective buyers have questions or require information. We are onsite for key aircraft showings, explaining the specific details about your aircraft to the buyer’s group, answering questions and gathering information when they are reviewing your aircraft. We work closely with you and your tax and legal advisors throughout the sales process to develop negotiating strategies, offer letters and contracts. Our unique personal management of the pre-purchase inspection helps maximize return and minimize expenses when selling an aircraft. We are onsite at key times throughout the inspection, helping navigate discrepancies and options for corrective action, keeping the inspection facility focused and working to maintain a smooth and successful project. This isn’t business as usual. This is success. Isn’t this the kind of transaction you want—with the industry experts on your side?